Bacteria are everywhere, but until very recently, scientists have only been able to study some of them – the ones that can be grown in a lab. However, the vast majority of bacteria can’t be grown in a lab, at least with today’s techniques. We know these “uncultured” bacteria exist because modern genomic methods can detect their DNA, but finding out what they do – and isolating the substances they produce – is challenging. On March 14 at 11 a.m. ET, in a lecture at the National Institutes of Health, Dr. Sean F. Brady of The Rockefeller University will take us on a guided tour of the secret world of natural products made by uncultured microorganisms. He’ll tell us about state-of-the-art techniques developed in his lab to identify and study them. He’ll discuss how these methods may lead to the discovery of new antibiotics from uncultured soil microorganisms. And he’ll explain what uncultured bacteria and their products can teach us about the human microbiome (the community of microorganisms that live on us and in us). Dr. Brady’s lecture, “Watch Your Step, There Is New Chemistry Everywhere,” will be streamed online on NIH Videocast and Facebook Live. 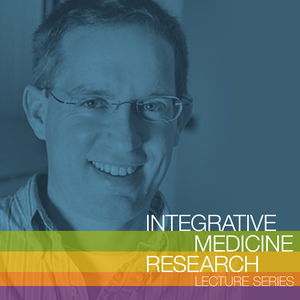 This talk is part of NCCIH’s Integrative Medicine Research Lecture Series.